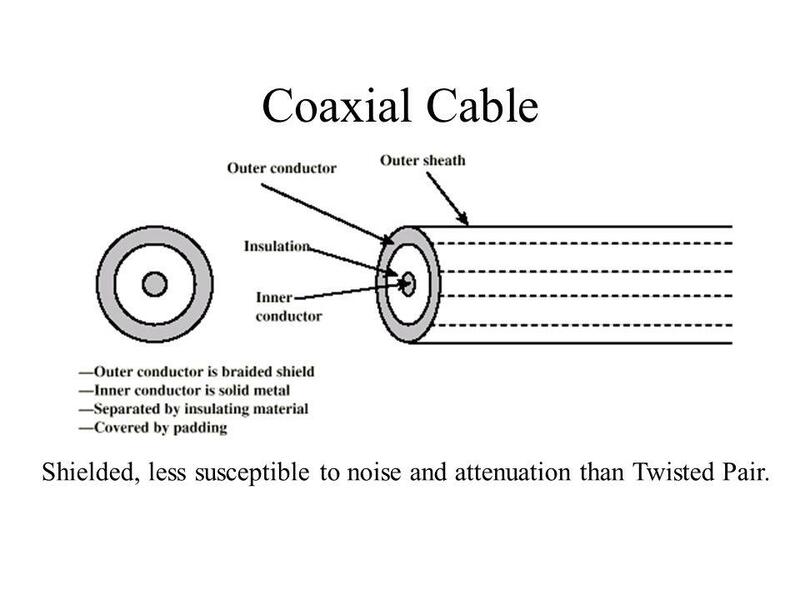 15 Coaxial Cable Shielded, less susceptible to noise and attenuation than Twisted Pair. 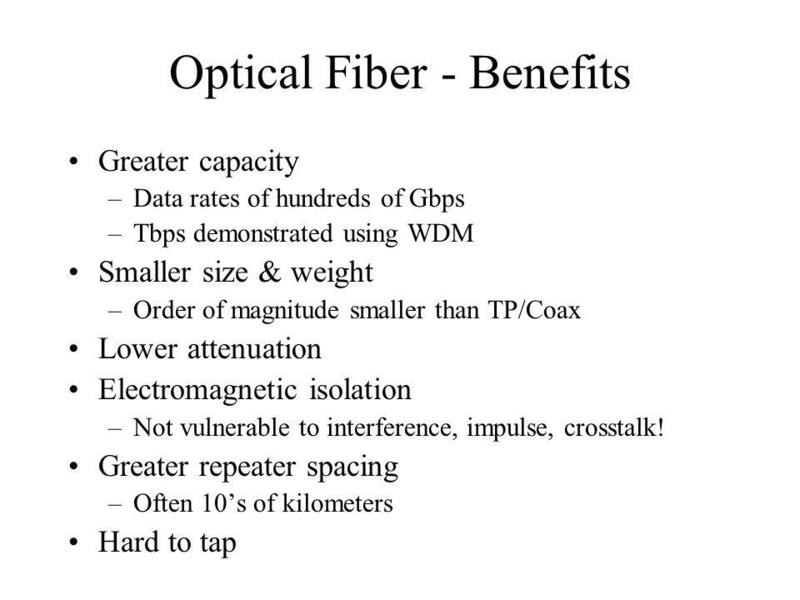 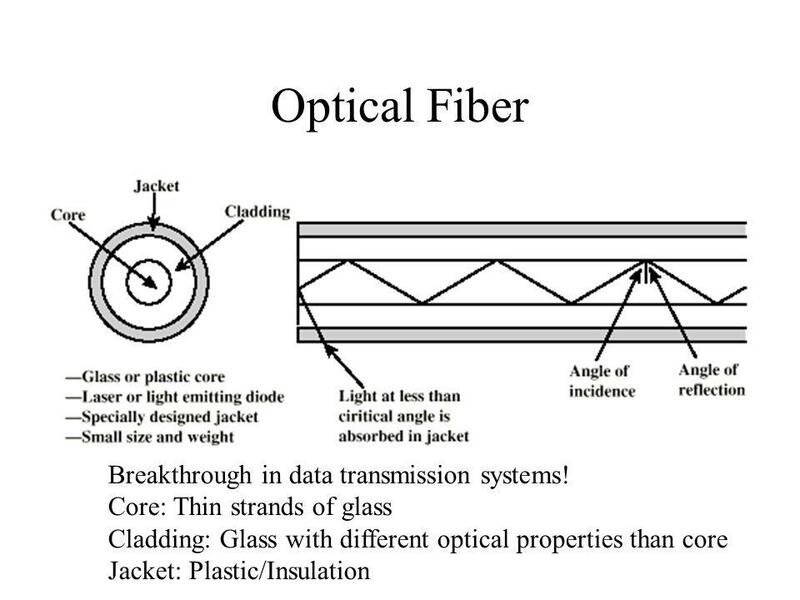 19 Optical Fiber Breakthrough in data transmission systems! 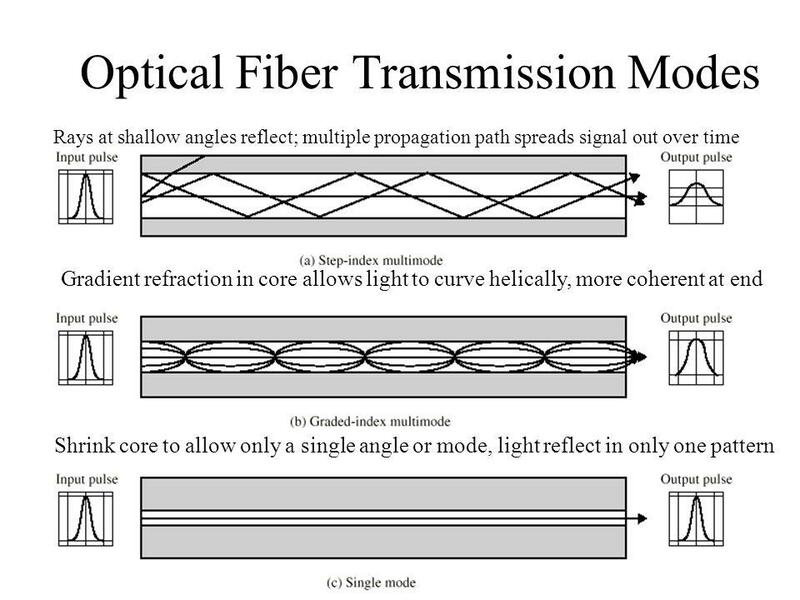 Download ppt "Physical Layer – Transmission Media"
IST 126 Transmission Media. 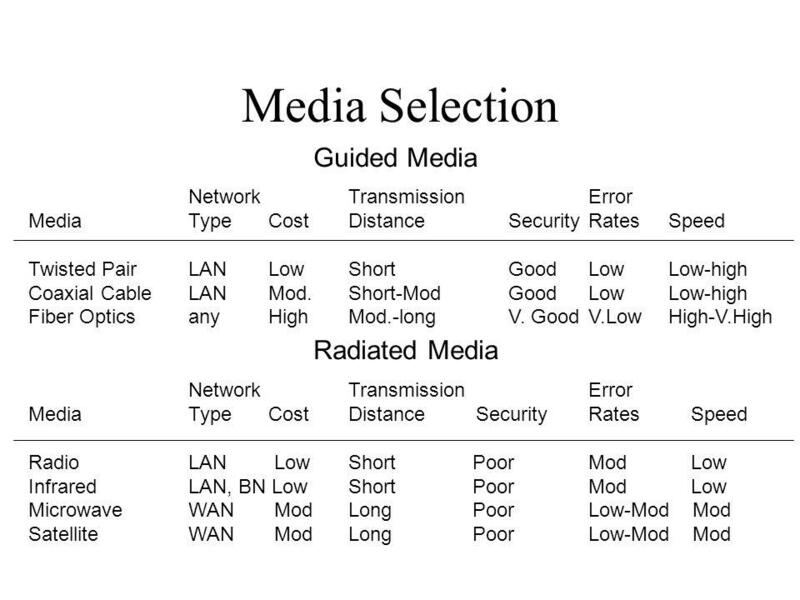 Characteristics of Transmission Media Cost Ease of installation Bandwidth capacity – the amount of data that can be sent in. 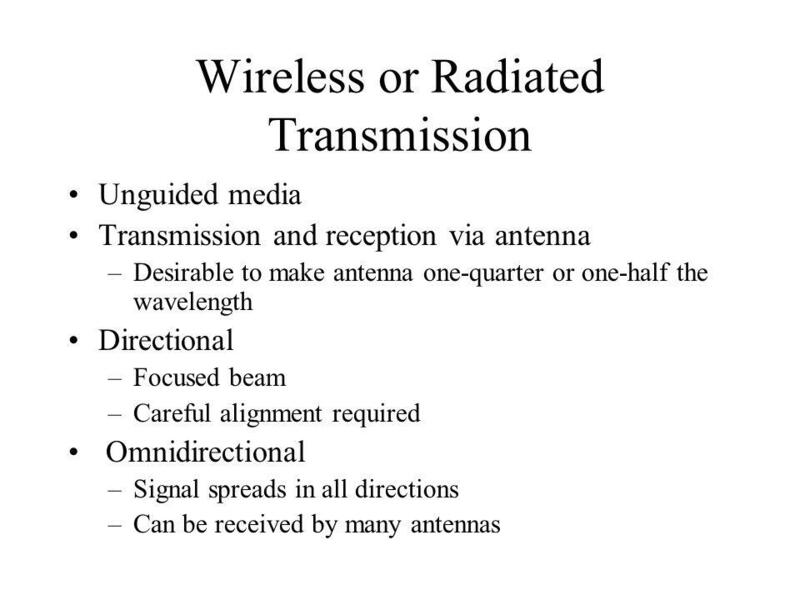 William Stallings Data and Computer Communications 7 th Edition Chapter 4 Transmission Media. 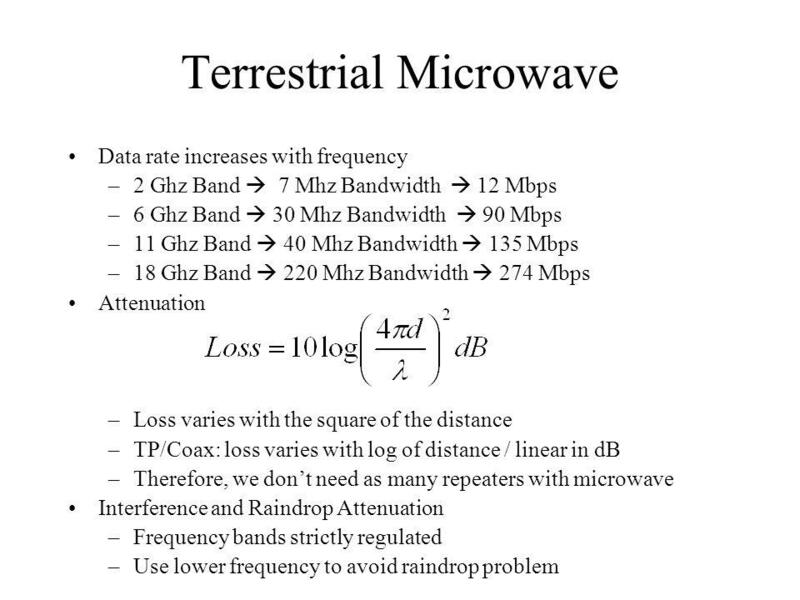 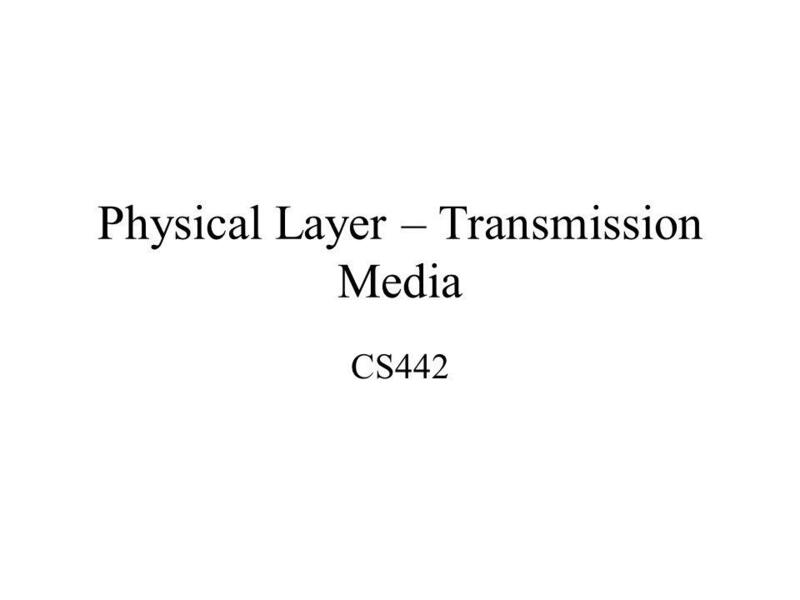 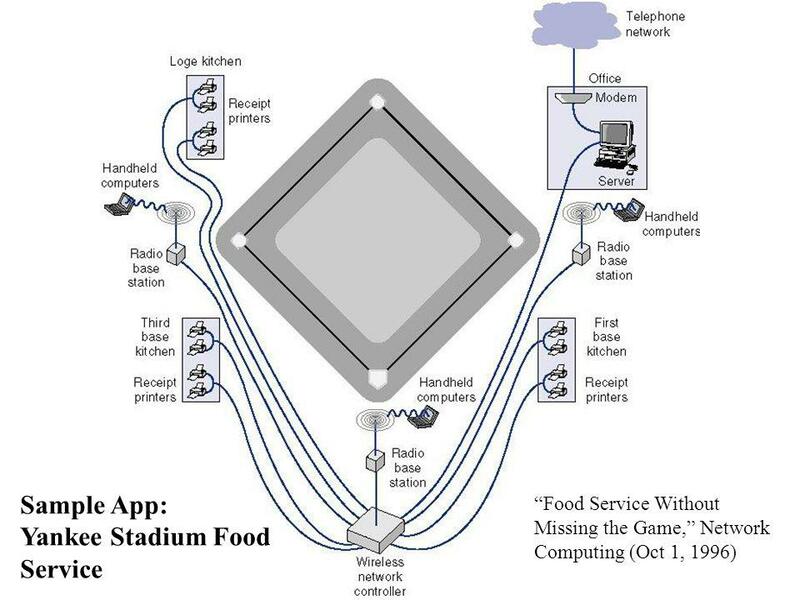 Topic 4: Physical Layer - Chapter 7: Transmission Media Business Data Communications, 4e. 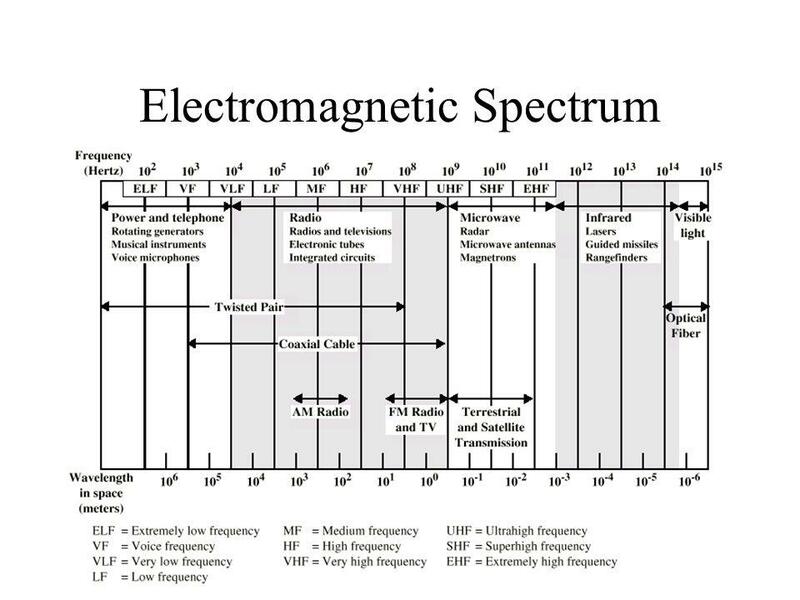 ECS 152A 2. 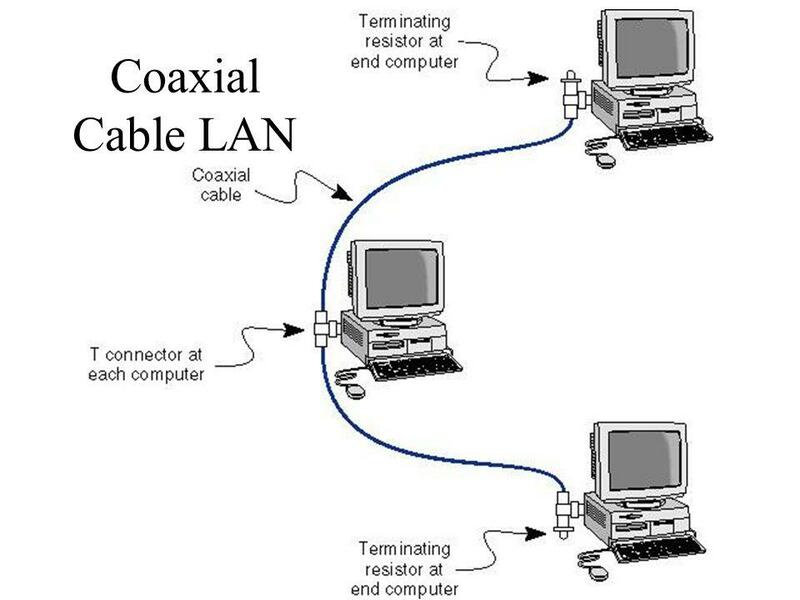 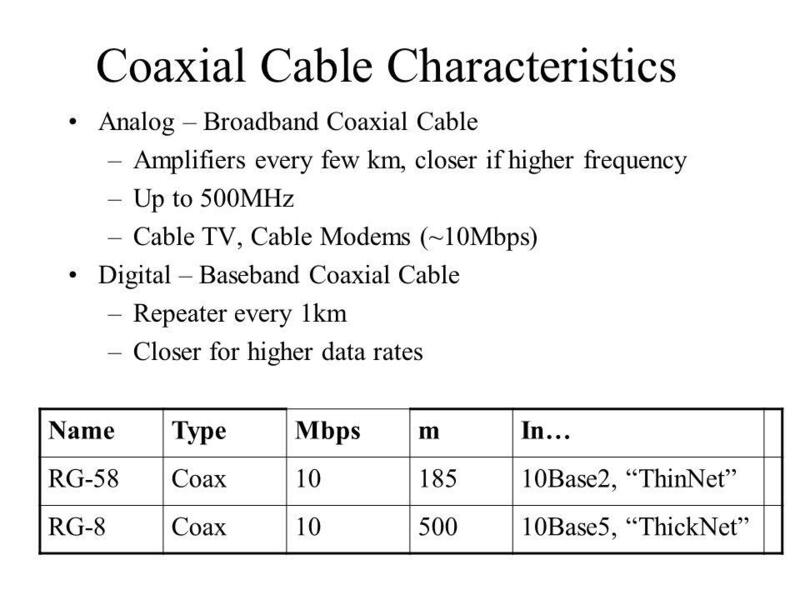 Physical Layer Aspects. 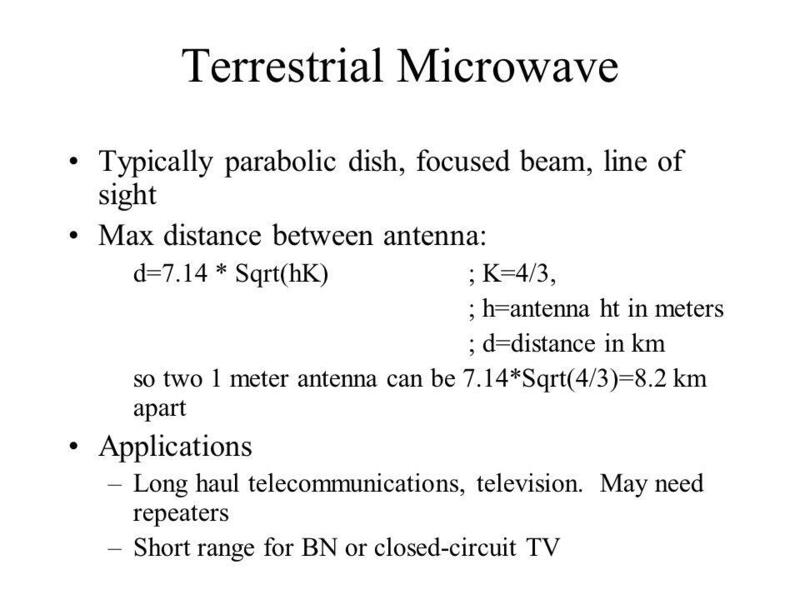 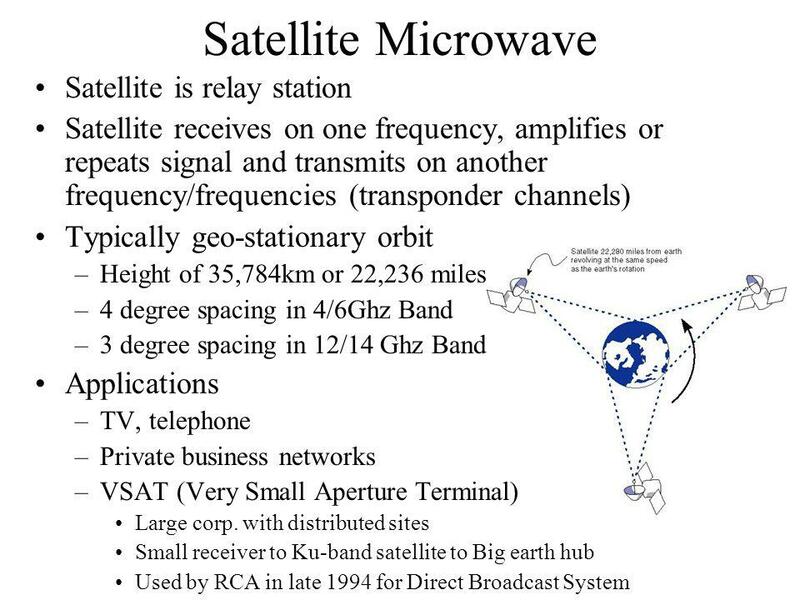 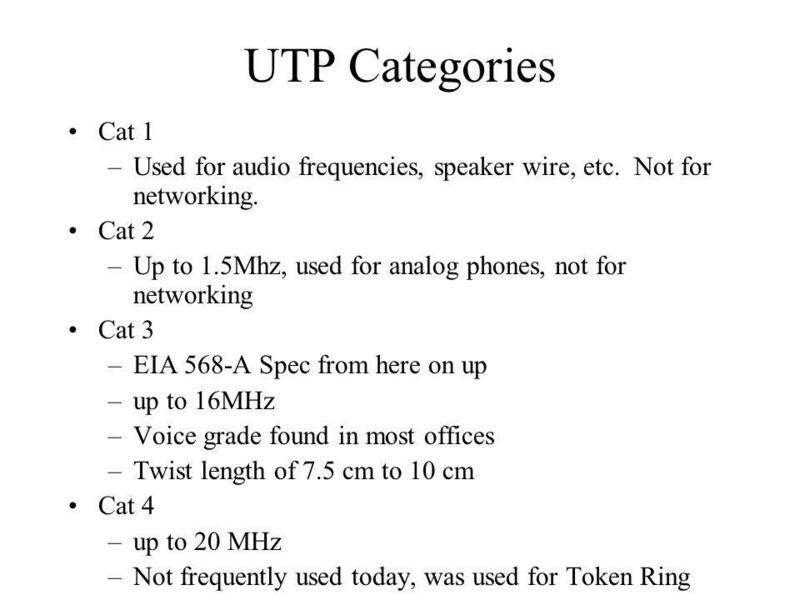 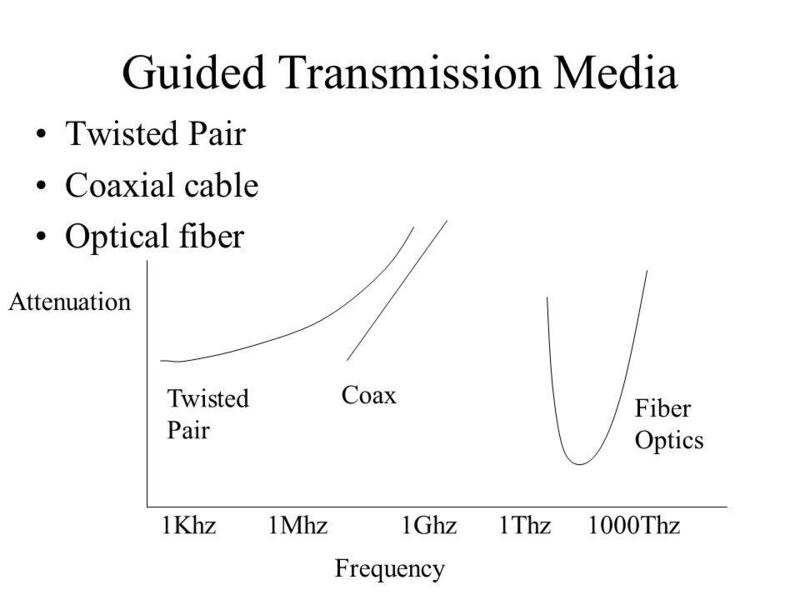 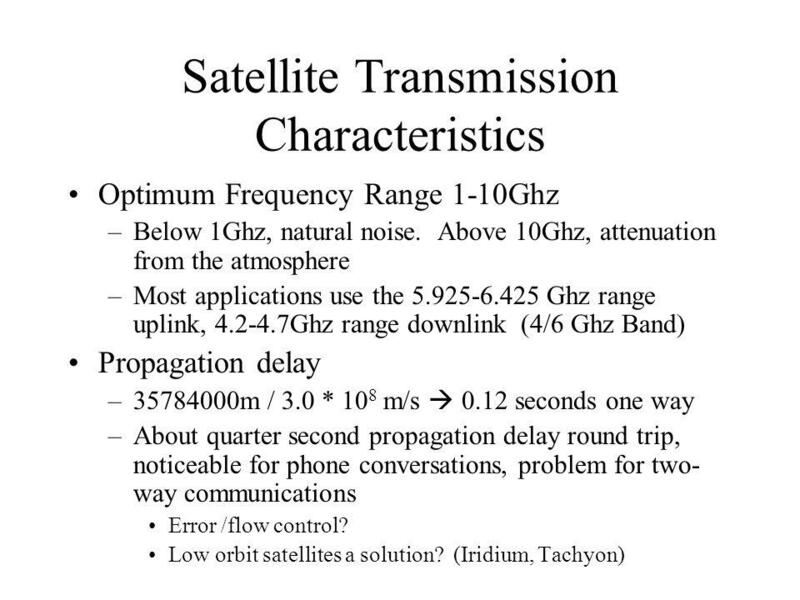 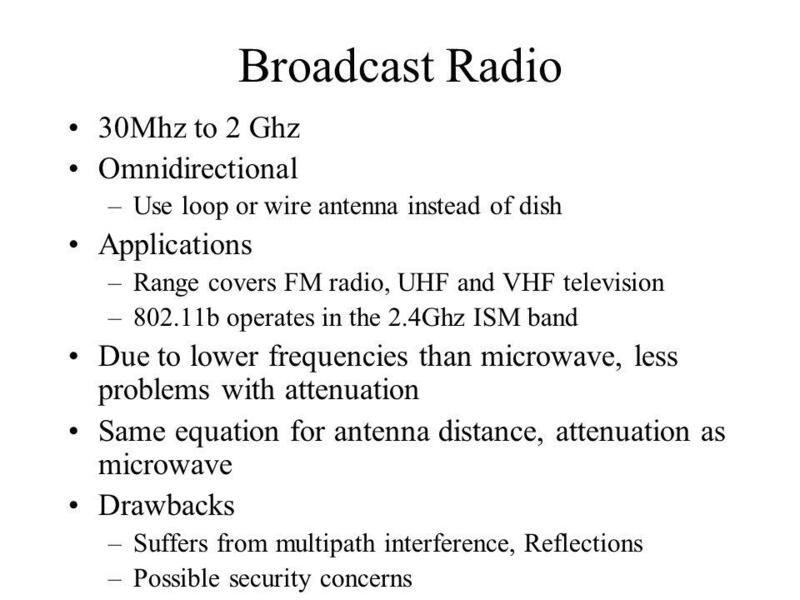 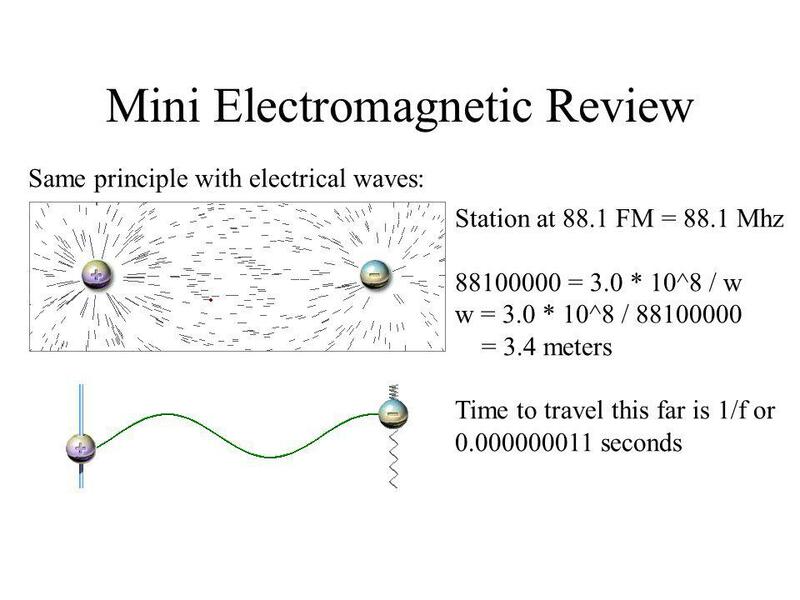 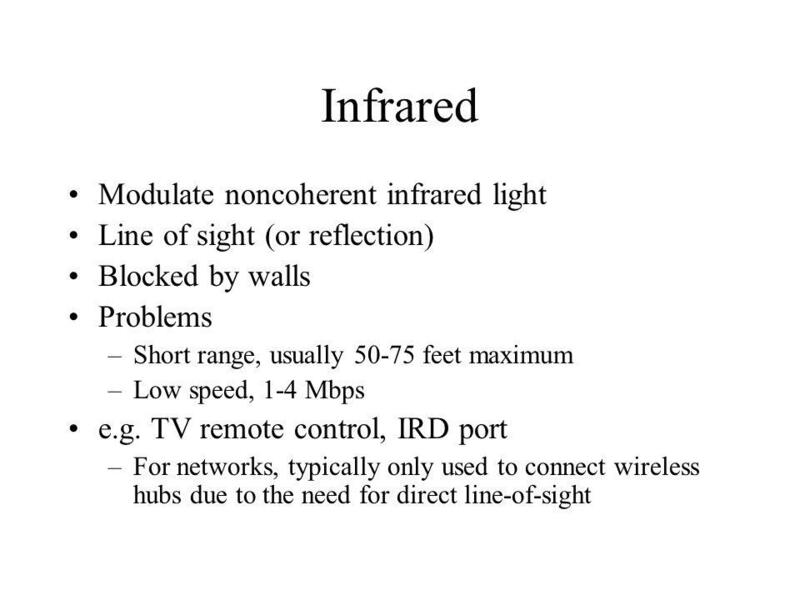 Terminology (1) Transmitter Receiver Medium —Guided medium e.g. 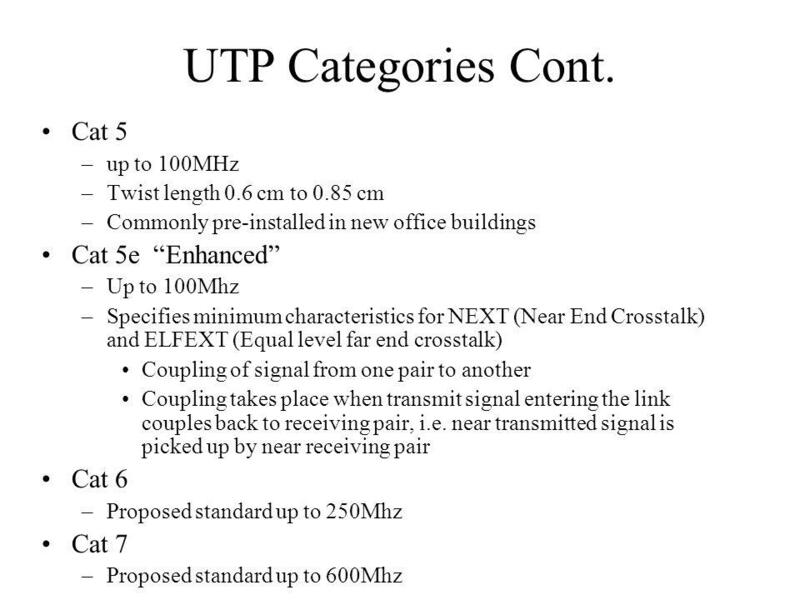 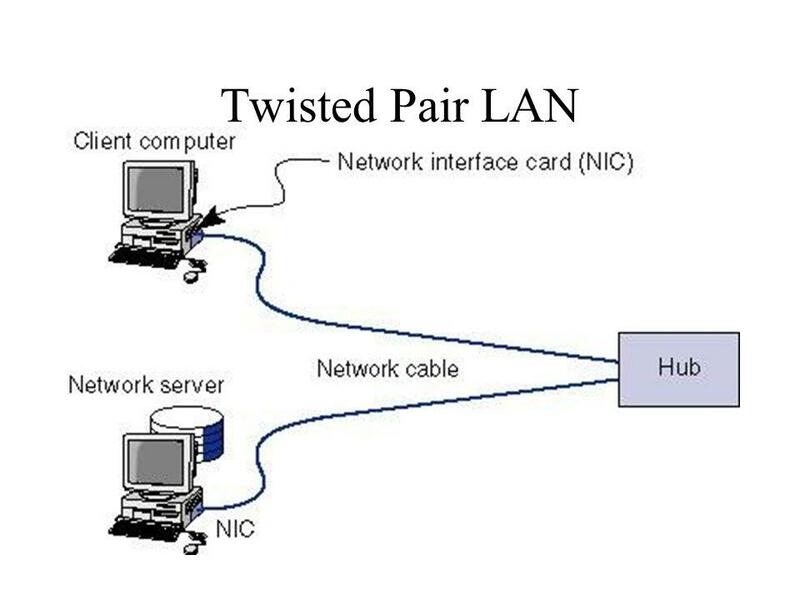 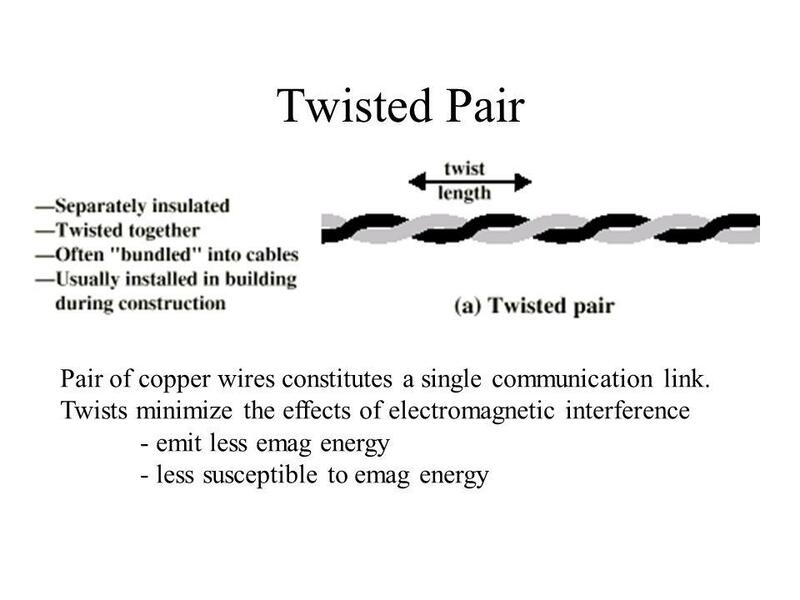 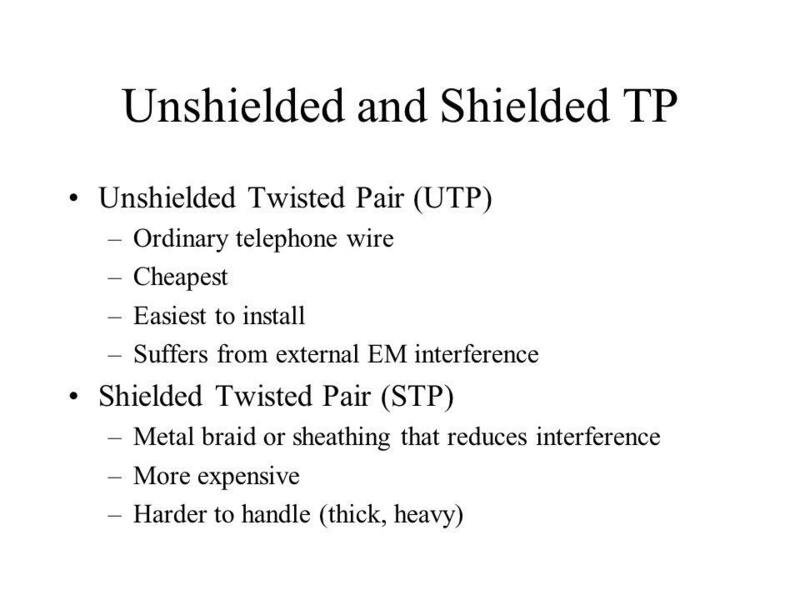 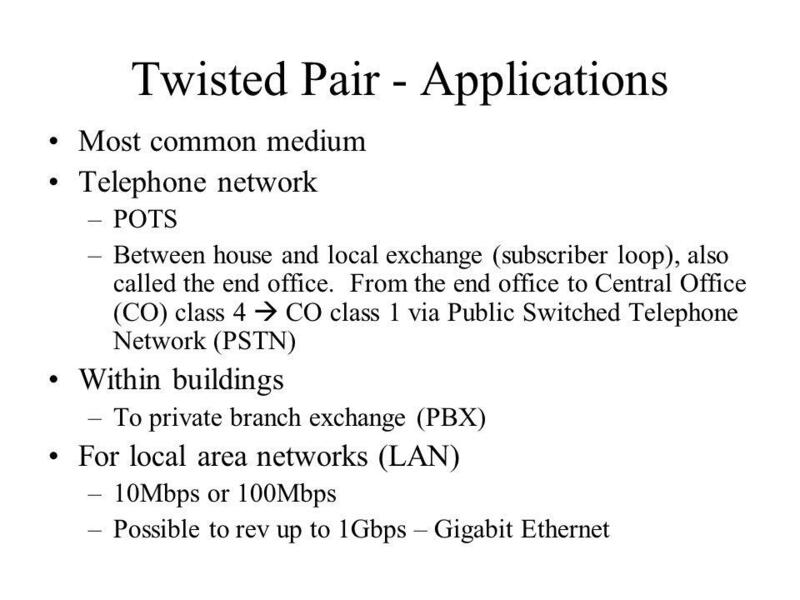 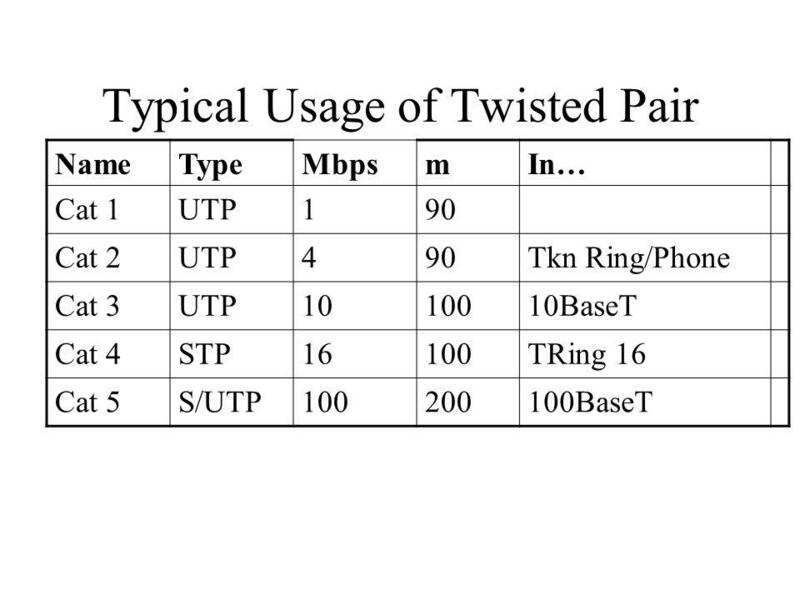 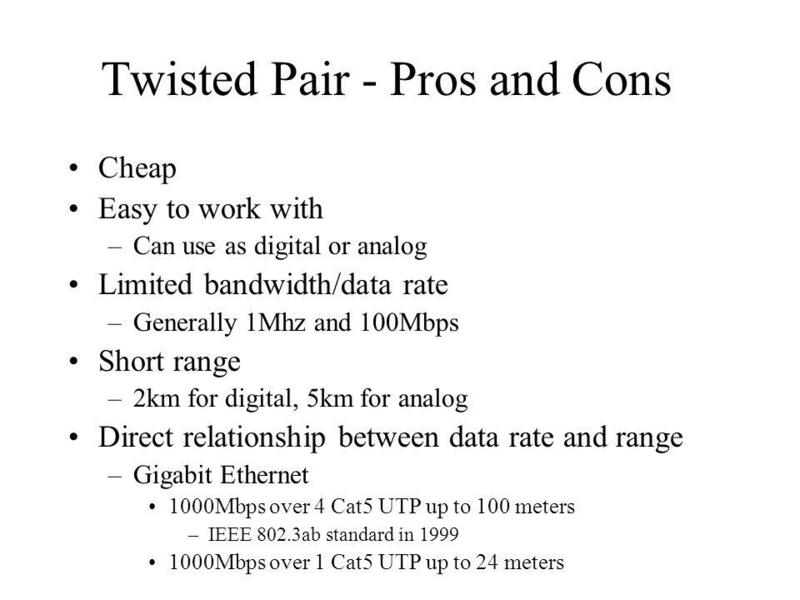 twisted pair, optical fiber —Unguided medium e.g. 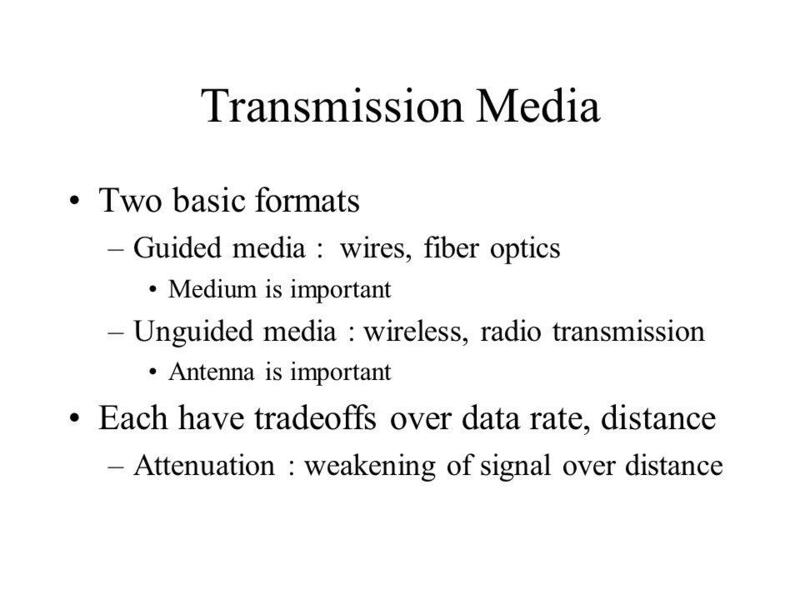 1 Data Communications and Networking Chapter 4 Transmission Media Reading: Book Chapter 4 Data and Computer Communications, 8th edition By William Stallings. 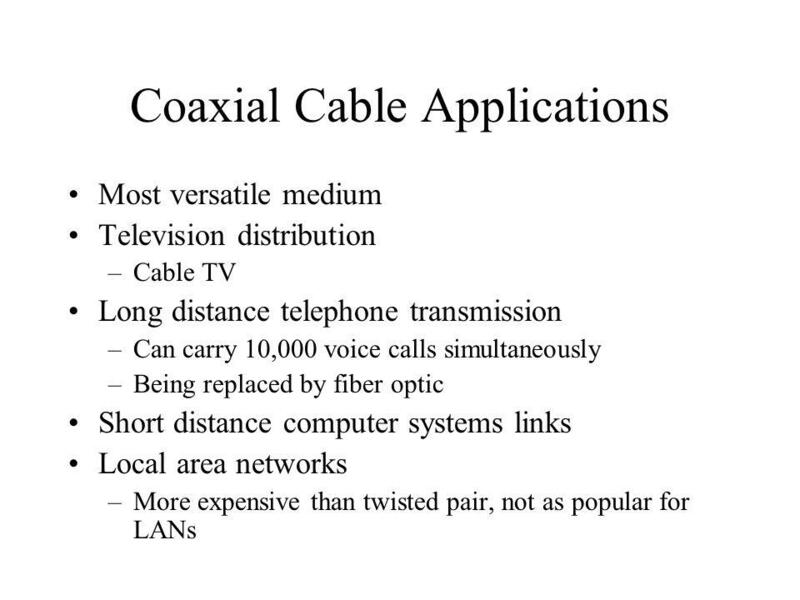 COE 341: Data & Computer Communications (T081) Dr. Marwan Abu-Amara Chapter 4: Transmission Media. 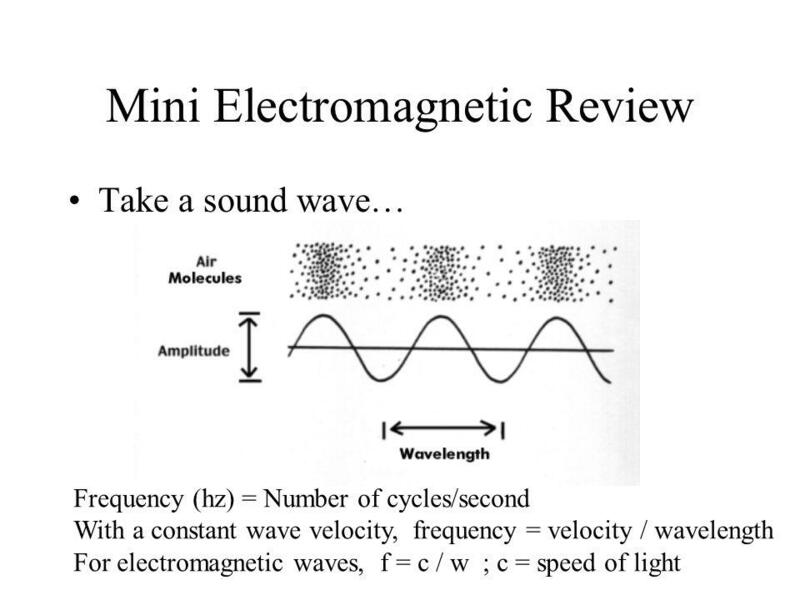 Prof. Hosny Ibrahim Lecture 3. 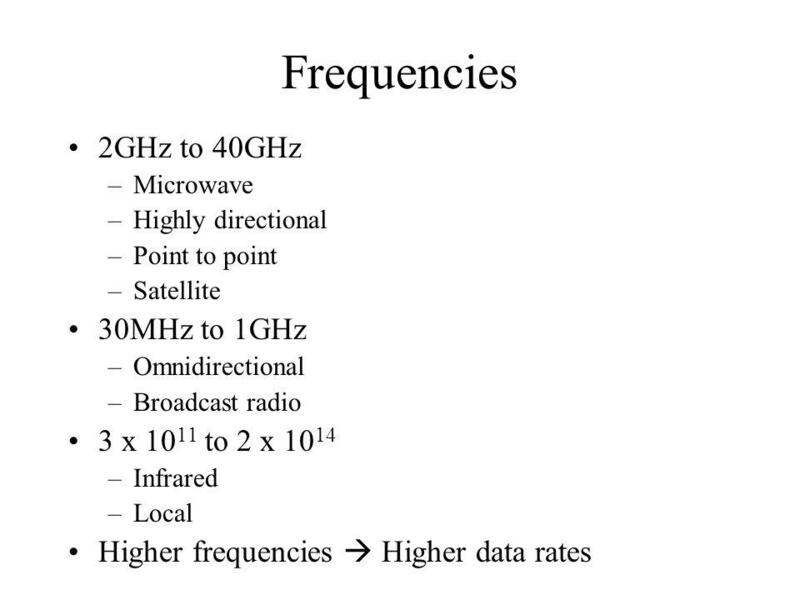 11/20/2015 Data Communication IT 221 By: Prof. Hosny M. Ibrahim 2.